Where’s a firecracker when you need one? No, your eyes are not deceiving you. 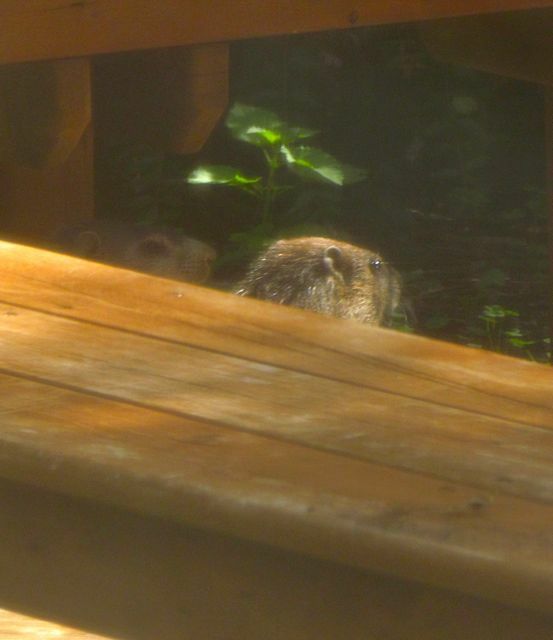 That’s a groundhog, woodchuck, varmint — whatever you want to call it. And it’s basking in this afternoon’s sunlight on my front garden bench! We’ve had over a week of rain. I’ll share the flood pictures and stories soon. Every critter in the area is soggy. 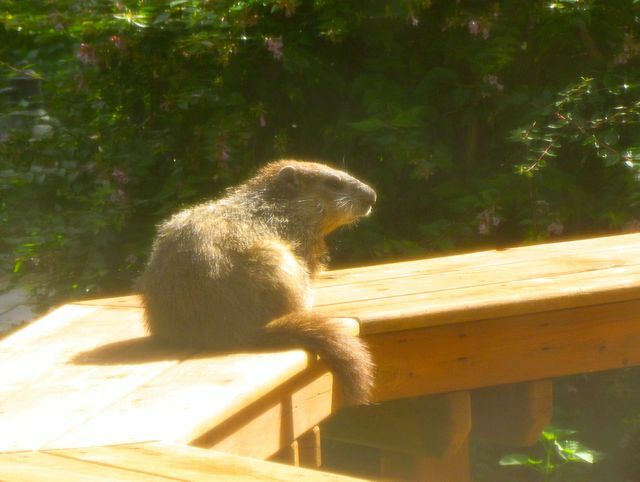 When the sun finally showed up today, this critter decided to make the most of it. Apologies for the fuzzy photo. This was taken through my front kitchen window, which has a screen. I couldn’t believe my eyes when I saw this critter so at ease in my front garden. Again, it’s not a great shot, but if you look carefully, you’ll see TWO groundhogs. Apparently, they have moved in beneath the front walk, the walk that Wonder Spouse and I traverse many times daily. I have never missed my dear departed dogs any more than I did when I saw these critters settled so comfortably so close to my house. More garden updates soon, I promise. 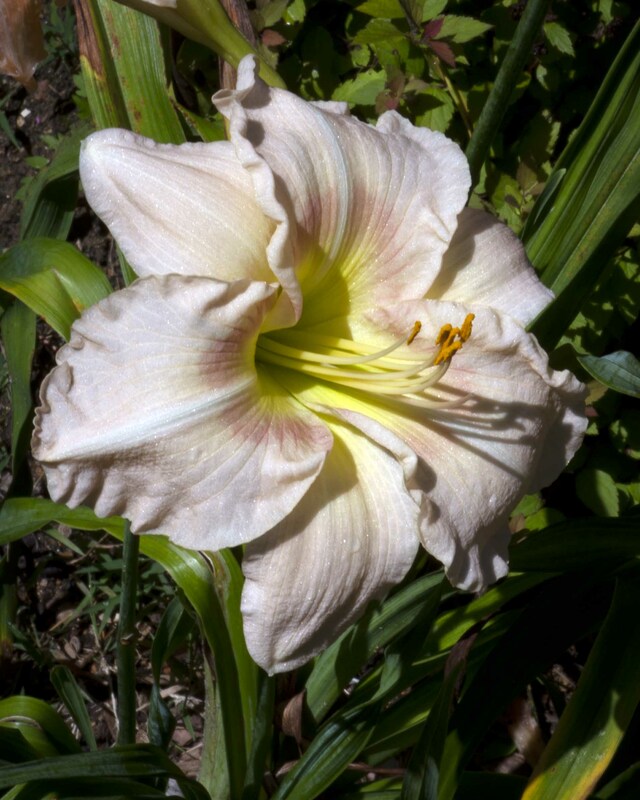 This entry was posted on July 4, 2013, 5:29 pm and is filed under Favorite Plants, Native Wildlife, piedmont gardening. You can follow any responses to this entry through RSS 2.0. You can skip to the end and leave a response. Pinging is currently not allowed.